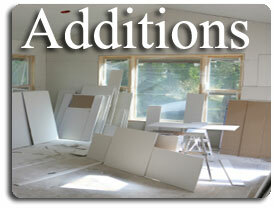 Thinking of an Addition to Your Home ? Bumpout? Attic conversion? Balcony? Finished basement? Enjoy a huge amount of inspiring ideas for adding living space, from a modest bumpout to a new room to a full second story. Learn about ideas and before-and-after floor plans for every type of addition, including kitchen and dining areas, family rooms, master suites, sunrooms, and bonus spaces. Enjoy expanded-view illustrations of popular projects, a comprehensive overview of options for materials. Learn about smart advice on planning, calculating costs, and working with contractors. (Yes, we offer the best way to work with us as a general contractor!) All of this can be provided from this book in our Amazom.com Remodeling Bookstore!